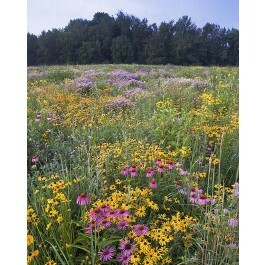 Refresh and reclaim the landscape and add a splash of color with naturalized North American native perennial wildflowers that will develop into a beautiful & diverse perpetual meadow, providing food and habitat for wildlife, pollinators, hummingbirds. Refresh and reclaim the landscape and add a splash of color with naturalized North American native perennial wildflowers that will develop into a beautiful & diverse perpetual meadow, providing food and habitat for wildlife, pollinators, hummingbirds. Best in full sun, requiring little to no maintenance. 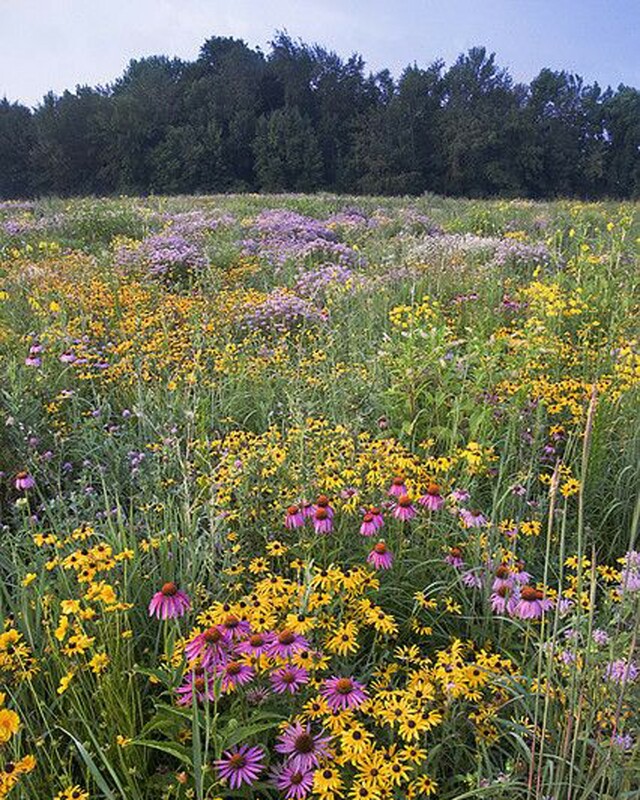 Works well in combination with our Conserve Prairie Mix (use half rate of Conserve Prairie Mix with full rate of Conserve Pollinator Mix).